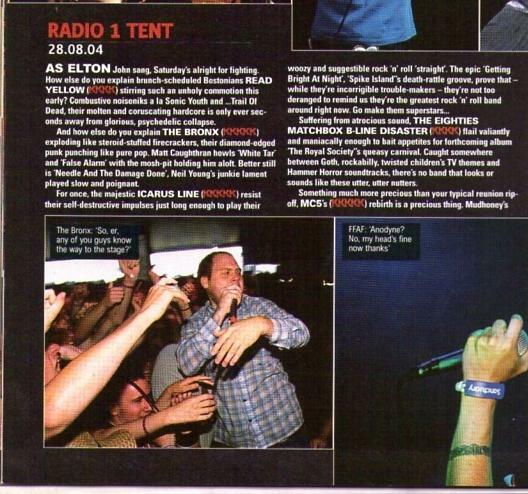 A live review of The Icarus Line’s performance at The Reading Festival 2004. 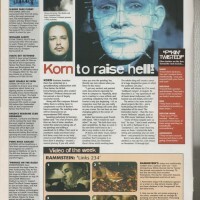 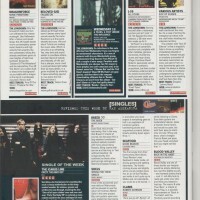 This review is from Kerrang (issue 1022) and is dated September 11 2004. 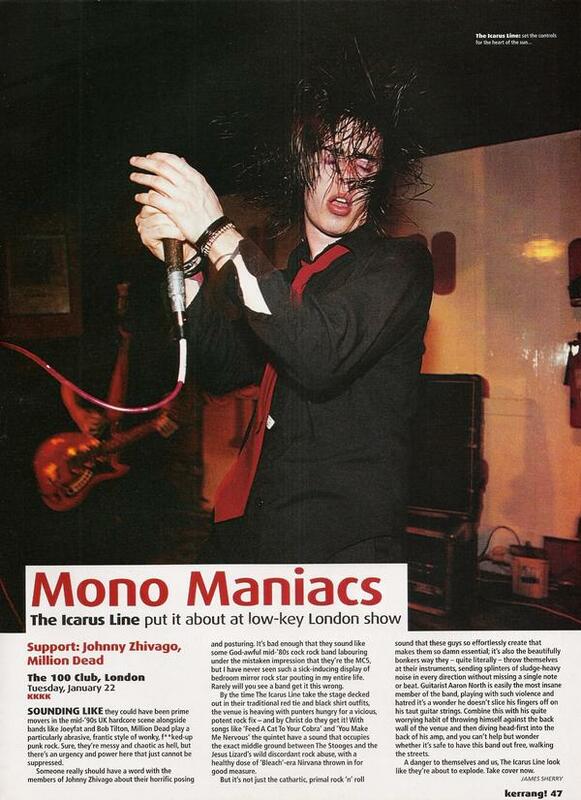 Another old live review from the archives. 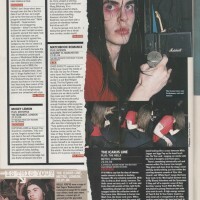 I promise I will have more updates in the forseeable future. 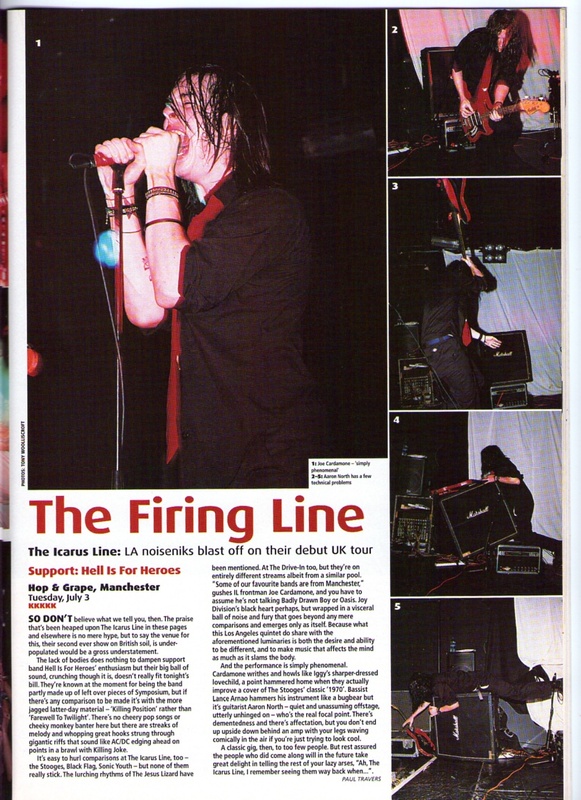 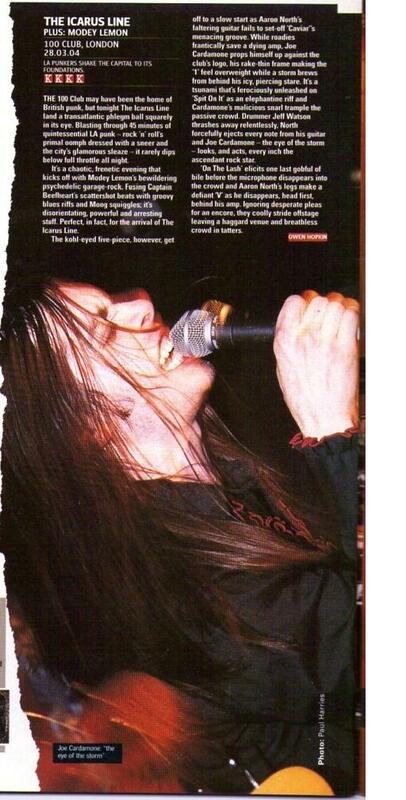 But for now, enjoy this little nugget from Kerrang circa July 14 2001.